Much as Ogilvy wrote the bible on advertising, Burson has written the must-read book for the public relations industry. 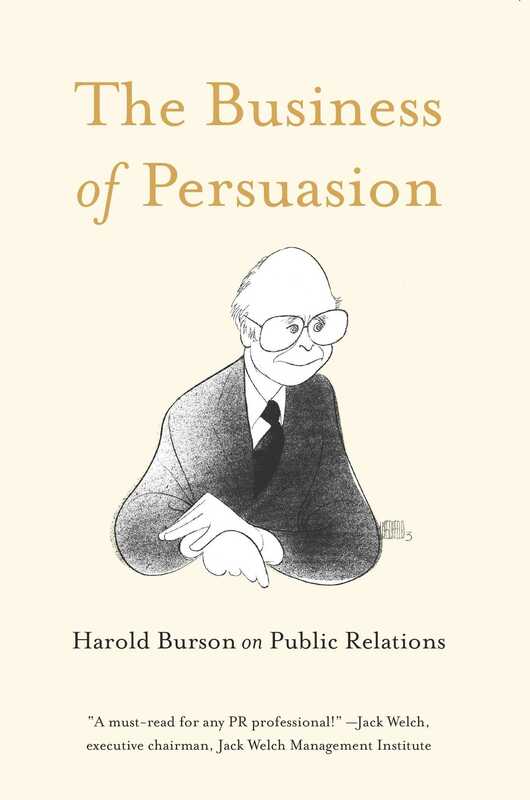 Harold Burson, described by PRWeek as “the [20th] century’s most influential PR figure,” is perhaps the most recognized name in the industry today. The 96-year-old founder of PR giant Burson-Marsteller has had an incredible 70-year career, in which he built a global enterprise from a one-man consulting firm. By way of personal and professional examples, Burson shows readers what public relations really entails—its challenges, methodologies, and impacts. His anecdotes on PR challenges like the “Tylenol crises,” the removal of confederate flags from Ole Miss, and the introduction of “New Coke” illustrate Burson’s time-tested tenets of great PR and crisis management. He interweaves iconic moments from the history of public relations into his story, making this a priceless and fascinating guide for professionals in any industry. Public relations is practiced not only by every institution, but also by every individual. Throughout his ground-breaking career, which Burson describes as “a series of defining moments,” Burson set standards for corporate and individual behavior, insisting upon corporate social responsibility, product excellence, and unabated integrity. His legacy has shaped generations, and will shape many more to come.